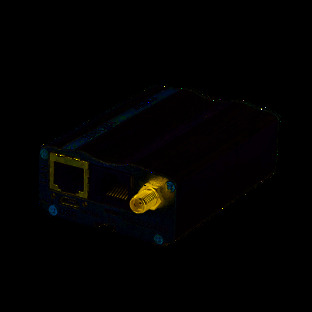 NTS-TC (Time-Converter) is converting time-code from NTP PTP IEEE1588 to IRIG-B AM DCLS and Fiber Optic. 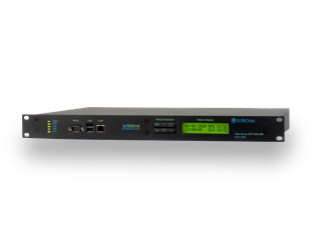 It is equipped with GE Ethernet (SFP, RJ45 connectors) supporting both IEEE1588 Slave mode (in case of conversion to IRIG output) and IEEE1588 Master mode (in case of conversion from IRIG input). It can produce ref. output time signals incl. PPS/PPM/PPH, 10MHz* etc. Server is modular and various configurations are available. Network cards are 100% isolated (no TCP/IP) using internal analogue syncing signals. This ensures cyber-security of NTS-TC. 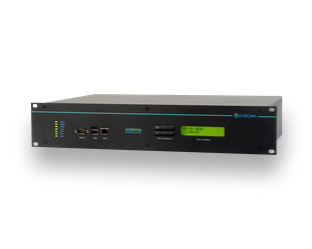 Elproma time converter supports all PTP IEEE1588 profiles offering ultra high accuracy of synchronization – the one basis on hardware timestamping. 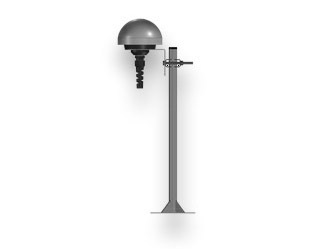 Converter can be extra equipped with 1 or 2 GNSS receivers (NTS-antenna) and holdover* oscillators. This is useful when time-code distribution supports synchronisation of critical infrastructures.